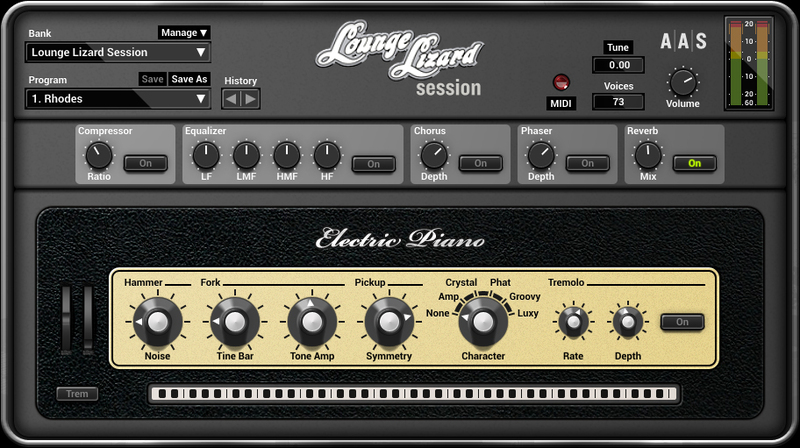 Lounge Lizard Session, Virtual Electric Piano from Applied Acoustics Systems. Easy to install Mac 10.4.6, with a classical recording by Serial / Challenge / Response. Passes the tests AudioUnits. The configuration is simple standalone. It's just amazing to not be able to adjust the latency, but it is imperceptible. Use of PowerBook. Proper management of the processor (20a 30% with 32 voice polyphony). No problem in Logic Express or DP5. I have a lot of banks sample of Rhodes, one with an excellent map K2600 Vintage Keyboard, a Korg Z1 models with nice Rhodes / Wurli, but I have no Rhodes! The Lounge Lizard is my favorite. It is of physical modeling (no samples), it sounds more organic than its competitors (Elektrik Piano, EVP88). Most users do not necessarily need all the esoteric settings of the full version. There is the main three models of Rhodes, one Wurli, an effects section (tremolo, drive, multi-effects, reverb), simple and effective for live. And if you need more, you can upgrade to full version for $ 149. Decline in the hope that the rest of their range in Session version! 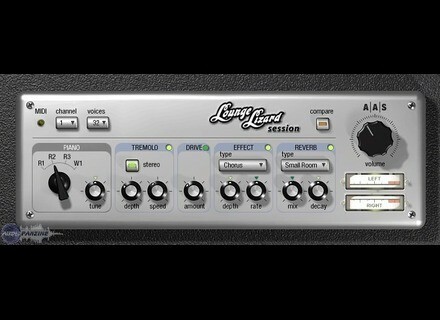 Applied Acoustics Systems releases the Lounge Lizard Session v3.1.4 Update, Ultra Analog Session v1.1.4 Update, and Strum Acoustic Session v1.0.2 Update for Windows.